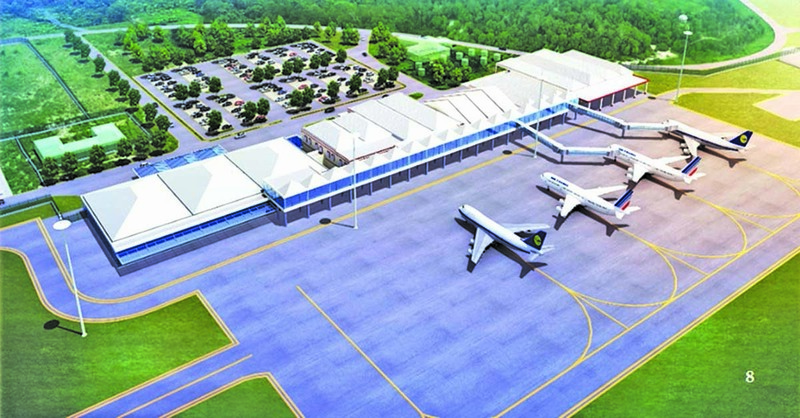 As of April 1, arriving and departing passengers at the Cheddi Jagan International Airport (CJIA) will have to pay an additional US$35… all to support the ongoing CJIA expansion project. This was confirmed by Caribbean Airlines, one of the major airline carriers at the airport. According to the airline, both the airport security fee and the airport passenger service charge will be increased. According to Caribbean Airlines, CJIA had advised all airlines that these increases were to support improvements at the airport. According to the airline, it will be facilitating the collection of the new fees at the check-in counters and arrival hall for departing and arriving customers respectively, from April 15. “For tickets purchased after July 1, 2019, the fees will automatically be included in the cost of the ticket at the time of purchase,” Caribbean Airlines added in its statement. For some time, the Public Infrastructure Ministry has faced questions over the CJIA expansion project costs and delayed construction. The project was initially supposed to have been completed within 32 months. But by January, with the project still not completed, Government said that China Harbour Engineering Company Ltd (CHEC) will have to complete the expansion project, which was set for March 31. Public Infrastructure Minister David Patterson had warned that CHEC would be fined more than U$200,000 or US$7000 per day if it missed the latest deadline to complete the project. At the time, outstanding works to be completed had included the southwest runway, extension pavement works and sections of the departure terminal – namely immigration, security screening, and duty-free concession areas. The project got underway in 2012, under the People’s Progressive Party/Civic (PPP/C) Administration when Guyana secured a US$138 million loan from the China Exim (Export-Import) Bank to fund the expansion and modernisation project, for which the Guyana Government was to contribute some US$12 million. The A Partnership for National Unity and Alliance For Change (APNU/AFC), when in Opposition, had cut the funds the then Government – People’s Progressive Party (PPP) – had allocated for the CJIA expansion. When the coalition Government came in to power in 2015, the project was put on hold, but after some discussions, it was later announced that the project would be continued but several aspects were cut from the original design. After the 32-month projection had passed, officials had been optimistic of the project being completed by 2017. However, the extension of works into 2019 comes in disparity to an earlier commitment by Government where it committed that the works associated with the expansion would have been completed by the last quarter of 2018. Upon completion, the airport is expected to have four air passenger boarding bridges for arrivals and departures; a 450-seat departure area, escalators and elevators in addition to an extended runway catering for larger categories of aircraft.